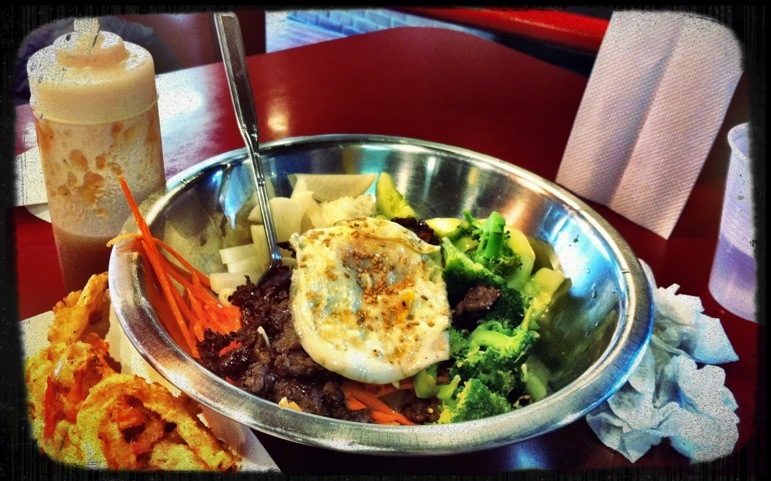 Snapshot: bulgogi+hoagie = “boagie” at Ann Arbor’s Kosmo | Clover Eats! 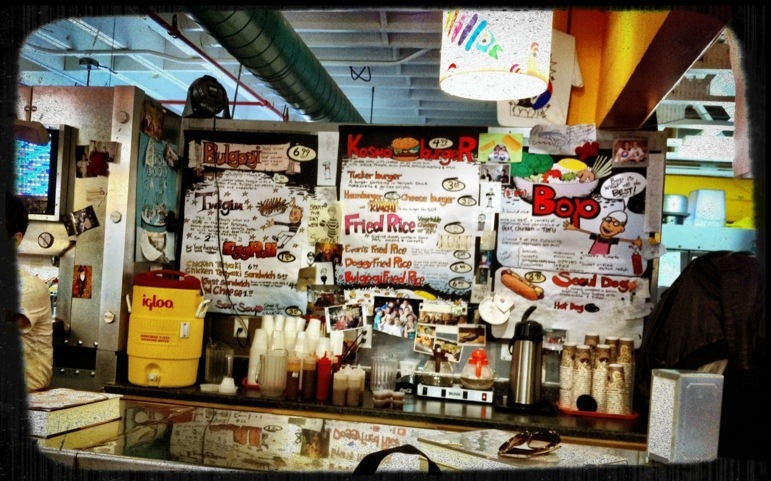 Hidden behind Sweetwater and Sparrow Market in Kerrytown, we found Kosmo, a cute little Korean greasy spoon. The menu was colorful, and the decor was cool and metallic. 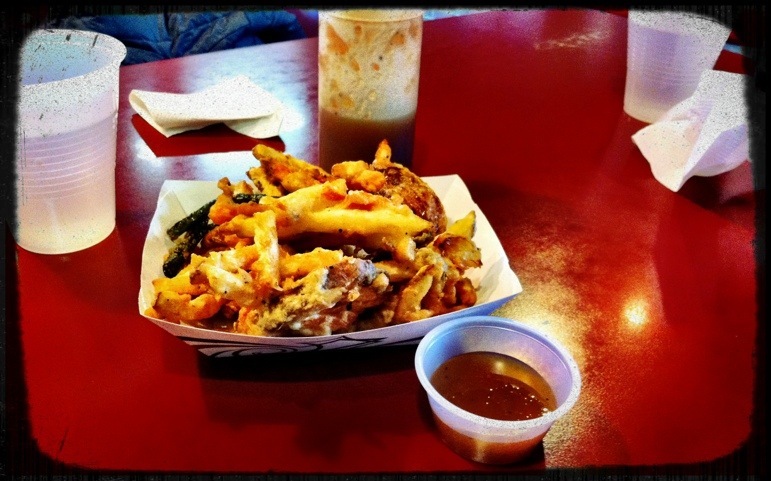 The “twigim” – a collection of deep fried tempura veggies served like cheese fries. Supposedly, this is one of the things that put Kosmo on the map! 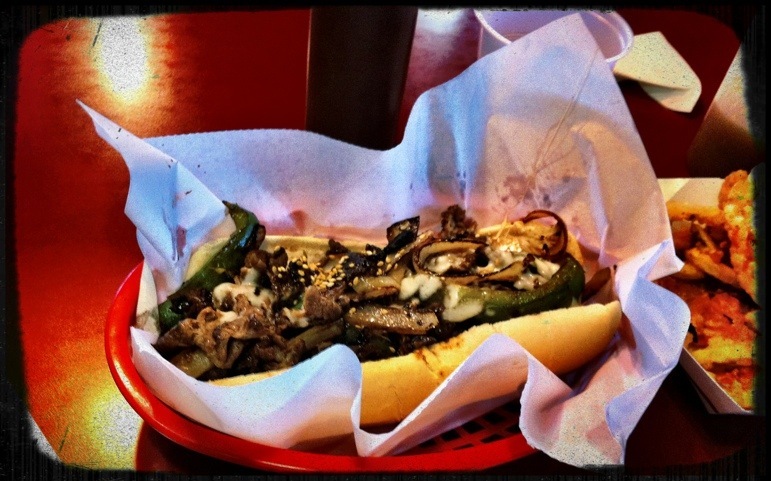 My “boagie” – bulgogi on a hoagie/philly cheesesteak! Korean fushion is adorbs. Bibimbop at Kosmo – choose four vegetables to go into a bowl of rice! The quality isn’t amazing, but for a cute little diner at the back of Kerrytown, Kosmo sure is tasty! Check them out on Yelp or the next time you’re studying in Kerrytown!